Entries and nominations will be accepted from the entire Australia/New Zealand region. All entries should relate to achievements ONLY during the period 1 October 2017 – 30 September 2018. 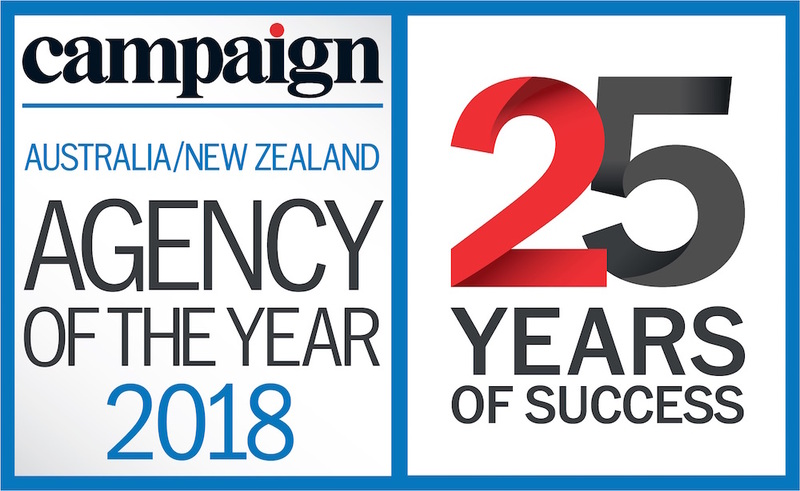 The Australia/New Zealand Agency of the Year judging panel will comprise a minimum of five client marketers and senior Campaign editors. Amber’s career began at Saatchi & Saatchi London where she worked on blue chip accounts including Schweppes and Carlsberg-Tetley. From there she moved to Lowe Howard-Spink as Board Director on Tesco and fell in love with retail. Following this Amber spent six years at Interbrand UK and USA consulting on local and international brand development including large scale repositioning and identity work. Client side retail in Australia has been her passion for the last decade including roles at Target and Coles as GM Private Label, GM Category Marketing, GM Digital and more recently GM Brand and Media. Accomplished consumer brand marketer and successful dynamic leader of high-performing teams. Combining strong leadership vision with functional expertise, developed from fifteen years’ experience with leading brand-building organisations, including P&G and Diageo in the UK. Currently at Pernod Ricard as Global Marketing Director, Jacob’s Creek, Derek has led the marketing transformation of one’s of the world’s most admired wine brands, through disruptive platforms and is recognised for category changing innovations. Highly respected as a trusted peer and leader, Derek’s professional purpose is leadership that converts through to outperformance by placing people and culture first. He is a champion of more marketers, women and people of diverse backgrounds as executive leaders. Michael Sinclair is a communications strategist and writer. He has worked at advertising agencies Wieden + Kennedy, Droga5, Colenso BBDO and M&C Saatchi developing projects for clients including Honda, Nokia, Nike, Channel 4 and Toyota. His work has been recognised at key international competitions including D&AD, the Cannes Lions and the Effie Awards. He is currently Director of Creative and Communications Strategy at leading Australian telco Optus, helping figure out how to better integrate products, services and marketing - and achieve consistent creative excellence. Moragh has extensive experience and performance record in high tech including IBM, Microsoft, Salesforce, News Digital and HP. She has proven B2B and B2C marketing skills and track record in delivering business results in ANZ and AP roles. Moragh joined IBM in 2012 and has held a variety of roles including Channel, Services and Cloud. She is now the NZ Marketing & Communications leader and is also responsible for leading the IBM Brand team across Australia and NZ. Moragh is based in Sydney, Australia. Phil Wade is the Chief Marketing Officer of Jetstar Airways. Phil has more than 15 years of global experience in Marketing, Ecommerce and Sales. Prior to joining Jetstar he has worked for Unilever, TJX, Wesfarmers and the Home Retail Group. He is proud to run the multiple award winning Jetstar marketing team and of Jetstar which makes air travel possible for millions of people. Phil is one of the chairs of the Festival of Media global awards, holds board directorships in early stage start-ups and is a passionate advocate of the marketing profession. Richard’s responsibilities are focused on customer outcomes and ensuring that AA Insurance’s brand promise is fulfilled. He is also responsible for managing all corporate affairs issues, ensuring they are handled in a timely manner. Richard has over 20 years’ experience in the insurance industry, joining AA Insurance in 2011 where he started in his current role. Prior to working at AA Insurance, Richard worked in similar roles at AMI and Southern Cross Health Insurance. Richard holds a Bachelor of Management Studies, majoring in Marketing, from Waikato University. Terri started her career working as an Account Executive at Grey Worldwide, working on the high profile TAC account. She spent 9 years working for a number of global advertising agencies in both Australia and London before making the transition to client side. Terri was part of the foundation team that launched the Specsavers brand into Australia which completely revolutionized the Optometry Industry. More recently, Terri has headed up the Marketing function at Renault Australia. Being the most competitive automotive market in the world, Terri enjoys the challenge of building a sustainable brand through innovation, creativity and strong agency/client collaboration. Tori Starkey currently holds the role of General Manager, Marketing (CMO) for Ricoh Australia. In this role she is a key member of the Executive Leadership Team and is responsible for Marketing, PR & Communications, Digital and Product Management. Tori joined Ricoh after 6 years as Marketing Director at VMware. Prior to that she was Marketing Director for Consumer, Business and Government at Telstra. She has over 20 years of marketing experience where she has served senior marketing roles in some of Australia’s largest Marketers including the Commonwealth Bank of Australia. She has a passion for fostering intelligence driven marketing cultures that are focused on customer centric, effective, omni-channel marketing programs. Delivering bold yet effective go-to-market strategies, saw her recognised in 2016 she was ranked as one of the top 50 CMOs in Australia. Holding a Master Degree from MGSM and a Bachelor of Business from UTS, she has held a number of advisory positions including previously Chairing the, Relationship Marketing and Customer Management (RMCM) Council at ADMA. Sweta Mehra is the Chief Marketing Officer at ANZ. Sweta has a unique blend of 20 years’ experience in consumer research and analytics, marketing and brand management expertise. Sweta spent more than 15 years with Procter & Gamble in Singapore, focusing on brand management across a range of categories and countries in developed and developing markets. She also led the P&G consumer research function. Sweta has a passion for brand building and creating breakthrough innovation leveraging technology. She combines her analytical skills with a deep understanding of consumer and market needs across different geographies. Sweta holds an MBA from the Indian Institute of Management and a Bachelor of Engineering from the National Institute of Technology, India.